My Own Garra Rufa/Doctor Fish Spa Finished! By selective breeding practices and geographic isolation, hundreds of dog breeds have been created to do man’s bidding. Some breeds never came into vogue, others never had large population numbers, and more have had their livelihoods phased out, and are now considered rare. This list contains information about rare dog breeds from all around the world. Many of these rare breeds may have fewer health problems and live longer lives than some of the more popular dog breeds. While popular dog breeds are easy to find, rare dog breeds are much harder to locate. Many of these rare breeds can’t be found just anywhere. Some of these breeds are close to extinction or belong to certain regions of the earth and therefore are hard to find. Any of these rare dog breeds would be a unique find! Described as companionable, joyful, and intelligent, the Barbet is quick to learn and needs lifelong obedience training. 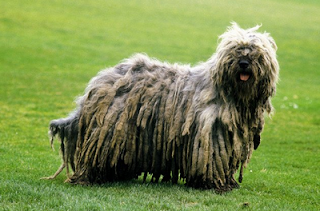 This medium-sized French water dog has a wooly and curly coat which grows long and must be groomed regularly to avoid matting. This rare dog breed is great with people of all ages and prefers human companionship. Mental and physical stimulation is a must. The lifespan of the Barbet averages 13–15 years. It is estimated that there are about 70 Barbets in the United States. This rare dog breed is easy to train, eager to please and enjoys the companionship of people, making it an ideal companion dog and family pet. The small, white, compact dog has shorter hair on the face and a coat that falls in loose open ringlets all over the body. The hair’s texture is wooly, should never trimmed, but requires regular combing to prevent matting. While not yappy, they have an acute cute sense of hearing and will generally bark at strange noises. The life expectancy of the Bolognese is 16-18 years. The Hamiltonstovare, a Swedish breed, is a typical scent hound and will follow its nose. If the breed finds a scent or sees something interesting, they will not necessarily come when called. Best to practice the dog’s recall daily. Hamiltons have a soft fur that rarely sheds, and they have no “doggy” smell. The average life span for the Hamilton is 10 to 13 years. The Pumi is a medium-small terrier type of sheep dog from Hungary. Most Pumis are gray, but born black. The breed’s trademark is its ears, which are always alert and very lively. The Pumi is a lively, active and intelligent breed that is easy to train, but barks easily. Pumis are very protective of their families, and often slightly reserved toward strangers, so socialization must begin at early age. The breed has a life expectancy of 12-14 years. The Kooikerhondje is a small spaniel of Dutch ancestry that was originally used as a duck tolling dog. Described as intelligent, good natured, and quiet, the breed adapts to situations rather quickly. They will not always immediately like strangers, instead choosing to retreat. The life expectancy of the breed is about 12-14 years. This breed is gaining popularity in the United States. The Lagotto Romagnolo, originating from the Romagna sub-region of Italy, is a gun dog, specifically a water retriever. It is also used to hunt for Truffle. Loyal and loving, they make great family dogs. If socialized from a young age, they get along with other household animals quite easily. Mental and physical stimulation is a must for this precocious breed. The breed loves to dig and many owners give their dogs a sandbox to satisfy their digging urges. The life span of the Lagotto Romagnolo is 14-16 years. The Mudi is a herding dog breed from Hungary. It is a very active breed and needs to be taken on daily long, brisk walks or jogs. Additionally, they need to be able to run free in a large safe area. Considered an average shedder, the breed is easy to groom, needing combing and brushing to remove dead hair from its coat. The life expectancy of the Mudi is 13-14 years. The Portuguese Podengo is a sight and scent hound from Portugal. The Podengo comes in three sizes with two hair coats (smooth and wire coat). Described as hardy, intelligent, and independent, Podengos are amenable to training by experienced dog people. They are very active and usually good with children and other animals, especially when socialized from an early age. They are watchful and observant and will bark when something gets their attention. They are excellent jumpers and climbers, and need a secure fence. The breed is a digger and will need much mental and physical stimulation. The breed does not require extensive grooming and its coat should never be trimmed. The life expectancy of the Portugese Podengo is 10-14 years. The Swedish Vallhund is described as fearless, energetic and alert. Although they enjoy either a rural lifestyle or suburban lifestyle, they crave human attention and are very devoted to their owners. The Vallhund is responsive and even-tempered with most people, but they can be wary of strangers. As a result, it should be properly socialized and trained as a puppy as to avoid over-protective behavior as an adult. They are known for heel nipping due to their instinctive herding traits. The breed, an average shedder, is easy to groom with a comb and firm bristle brush. The Swedish Vallhund can live for about 12-14 years. The history of the Wirehaired Vizsla remains somewhat mysterious, because many records of his existence didn't survive World War II. Development of the breed began in the 1920s in the Austria-Hungary region by hunters and falconers who wanted a different version of the Vizsla, the national dog of Hungary. 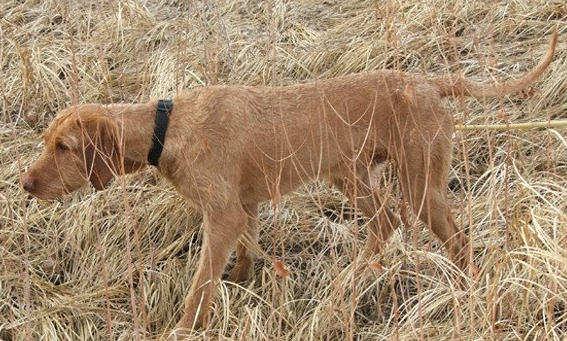 They bred a dog with the hunting qualities of the original Vizsla, but added a heavy, dense wire coat so the dog could better withstand cold winters. Aside from coat texture, the Wirehaired breed is a bit taller and more laid-back than her Vizsla cousin. She has a high drive to please, and some call her a "Velcro dog" because of how she sticks to her person. Whether you want her to hunt waterfowl or work as a therapy dog, your wish is her command. Goonch Catfish for sale! Please read this post for more info! TheCozyPet features interesting articles about pets, facts, trivias, top 10s, amazing discoveries that I would like to share with all my readers. I also love posting reviews of the products that I have tried and what I think about them. In this way, I could help people from across the globe while doing what I like best - caring for my pets. Do you hold blog giveaways? Absolutely! Sharing is caring after all. Do check the right side of my blog for ongoing giveaways. Can you review my product? You can contact me directly though my email or through a form in my "contact me" page. Kindly visit this page as well. I would love to share an article! Yes, I would love that. Do email me so that we can further discuss it. Do you accept blog advertising? I do. However it is subject to acceptance. My readers are still my main priority after all. You can visit this page for more information.